Registration Open — Sign up today! Understandings of gender are changing rapidly and it can be challenging to keep up! Parents might believe that they only have to pay attention to their child’s gender if it falls outside of traditional gender norms. 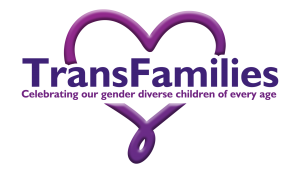 While it is true that transgender, non-binary, and otherwise gender-expansive children are particularly at risk, every child is limited by traditional gender roles and stereotypes. Parents and ally adults play a crucial role in creating a safe and supportive environment for all young people around their gender.